With all of the continuing changes and upgrades going on it can be challenging to keep up. If you see something we have missed please let us know. Together we will continue to grow and offer the most up to date information. Thank you to all of our wonderful supporters. Wellness travel is growing in leaps and bounds as travelers across the globe realize the importance not only of taking a break but of taking care of themselves so that they return home refreshed and recharged, ready to tackle the next challenge. Spoil Yourself with Resort Credits! The Palladium Hotel Group understands the need to create a sanctuary for its guests, where they can focus on their mind, body and soul. To that end, they have developed a Wellness Experience. Better still, those who book now can receive 40 percent off. Palladium’s Wellness Suites offer guests the full gamut of health-oriented amenities and services, including a Jacuzzi tub, anti-stress sound kits, a personalized fitness program, access to the spa and a couple’s massage. In addition, guests can avail themselves of healthy meals designed exclusively for them. Bonus: Guests who make their reservations at PalladiumHotelGroup.com will also receive special amenities (varies by property) as part of the Palladium Webcome Package. Grand Palladium Vallarta Resort & Spa (Riviera Nayarit – Mexico). Surrounded by lush tropical gardens, this beachfront hotel on Banderas Bay offers stunning views of the Pacific, not to mention a wide range of activities the entire family will enjoy. Those seeking comfort and relaxation will be smart to stay in a Deluxe Suite, where they can enjoy the comfort of a memory foam mattress system and the health benefits of an in-room hydromassage tub. Here, the Webcome Package includes a 15-percent discount per person on Spa Zentropia treatments, a welcome fruit basket, complimentary late check-out (subject to availability) and a bottle of tequila to enjoy. TRS Yucatan Hotel (Riviera Maya, Mexico). Located in an exclusive area of the Grand Palladium Resorts, this adults-only property immerses guests in a new kind of luxury. Here, you can have the best of both worlds—a private enclave where you can indulge in personalized services geared to pamper you every moment of your stay and the wide array of services available at the 5-star Grand Palladium. 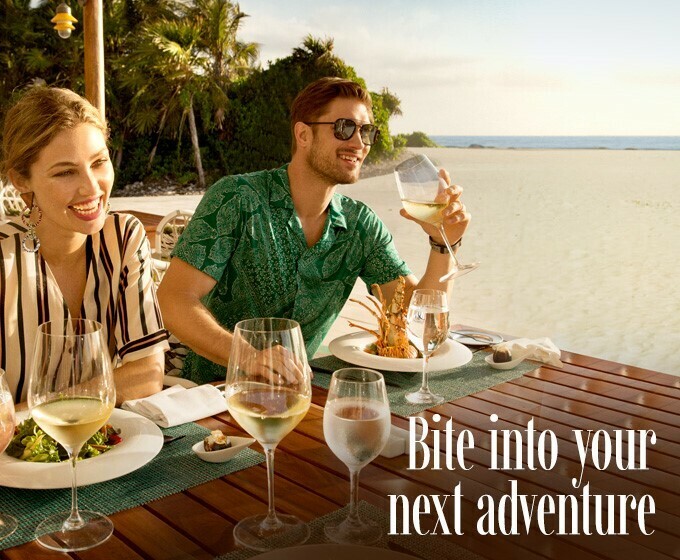 WATCH Palladium Hotel Group Has it All! Those staying in a Royal Wellness Junior Suite are treated to the standard wellness features, as well as a pillow menu and butler service. In addition, guests who book online will enjoy the amenities of the basic Webcome Package, as well as a free Segway rental with a minimum three-night stay. Among the amenities guests will enjoy are a 24-hour private reception, a shuttle train connecting all five resorts, game room and reading lounge, two covered theaters, in-house physician, a market selling local handicrafts, shopping center, Internet café and more. The TRS Yucatan Hotel is part of the new incarnation of what was formerly known as The Royal Suites by Palladium. Earlier this year, the hotels underwent what’s known as the Three Rs—renovate, rename, rebrand. Today, TRS Yucatan spots a new sleek look that’s reflected in the company’s marketing campaign and logo. The TRS Yucatan revamp includes upscale amenities such as swim-up suites, more a la carte restaurants, a new infinity pool and a world-class beach club. As our commitment to providing guests’ with an exceptional vacation experience continues to be our prime focus, we have decided to reshift the focus of Palladium Hotels & Resorts in Riviera Nayarit. As of December 1, 2017, the adults-only The Royal Suites Punta de Mita Hotel will no longer exist and will instead operate as Grand Palladium Vallarta Resort & Spa. This means that there will no longer be exclusive “adults-only” guestroom areas within the hotel. The adults-only pool will also begin to operate as a “relaxing adult-friendly pool area”. This decision was made on the heels of the newly rebranded The Royal Suites Hotel and its mission to deliver a memorable vacation experience for adults. We believe that in order to better serve our guests, consistent offerings throughout each brand is essential and we are certain that this shift will ensure all guests are given the best opportunity to enjoy their stay with us in Riviera Nayarit. Renovations to the current lobby will take place between August 15 – November 15, 2017. The lobby of The Royal Suites Punta de Mita will be used for all Front Desk services during this time. *Please note that during this time, guests of The Royal Suites will share the lobby with families. All of facilities will remain as adults-only. Renovations to this buffet restaurant will take place between August 15 – November 15, 2017. During this time, guests may enjoy from any other of the buffet or a-la-carte restaraurants. ** Interim Party & Show Schedule during the renovations at GPRM. For 2017 dates use code PGH2017 for an additional 10% discount. For 2017 and 2018 dates use code PHGSM2017 for an additional 10% discount. Earlier this year, Palladium Hotels & Resorts announced a plan to invest $21 million in itself to enhance guest experiences at a dozen properties throughout the Caribbean and Mexico. Now the company is in the throes of executing the plan, and is about to embark on one of the most ambitious parts of its overall strategy. Palladium Hotels & Resorts is utilizing the industry’s Three R’s as it has begun to renovate, rename and rebrand its adults-only luxury resorts known as The Royal Suites by Palladium and changing to TRS Hotels. The rebrand includes a fresh and elegant look on the property as well as an updated marketing campaign and logo. 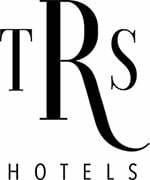 TRS Hotels will become independent of Grand Palladium Hotels & Resorts, the company said, while remaining true to the mission of offering the best adults-only luxury experience and personalized service at the current properties in the Dominican Republic and Mexico as well as the new Costa Mujeres property set to open in fall of 2018. “As the adults-only market in the Caribbean and Mexico continues to grow and expand, Palladium Hotels & Resorts looks to differentiate itself by evolving its adults-only brand, TRS Hotels,” Jacques De Paep, Palladium Hotel Group Commercial Director for North America, said in a statement. The move is part of the overall mission to enhance Palladium properties. Almost a quarter of the $21 million investments, $5 million, is slated to go to upgrading food and beverage offerings, including a higher quality of steak and liquor offerings as well as a better presentation at buffets. Palladium will also increase its staff size by 13 percent compared to last year. The TRS Hotels revamp will also include an increase in staff, upscale amenities like guestrooms with swim-up rooms, dinner-and-a-show-themed restaurants, and world-class beach clubs. The new TRS Hotels brand maintains the original mission, however, as it caters to an adults-only experience with customized service and attention. In addition to the rebranding, TRS Yucatan in Riviera Maya will be undergoing various upgrades and renovations from July 1 to Nov. 15, including completely renovated guestrooms, swim-up rooms, additional exclusive a la carte restaurants, a new infinity pool, and integration of the entire room stock of the former Grand Palladium Riviera Resort & Spa along with a Signature Beach Club. 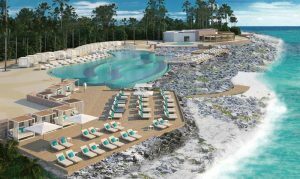 TRS Turquesa in Punta Cana will also be undergoing changes thanks to the addition of a signature Beach Club, with scheduled completion set for Dec. 1. An update from one of our members, Peter Gittinger, regarding the upcoming changes at Grand Palladium Puerto Vallarta. 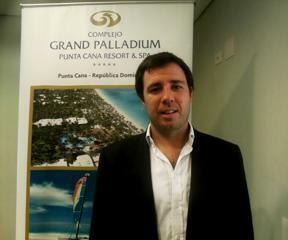 “As many of you are aware, Grand Palladium Vallarta will be undergoing some changes in the coming months. I had the opportunity to sit down with Ana Castro to discuss these changes. Beginning August 15 and lasting until November 15, the main lobby will be closed for renovations. During this period, the Royal lobby will be used for all guests. Additionally, during the same time period La Terraza and Ribs & More will also be closed for renovations. Beginning September 1, the Oceanview suites in the current Royal section will begin renovations. Three Ambassador Suites and one Signature Suite will replace the four Oceanview suites. Renovations of these rooms is expected to last until December 1. As of November 15, Royal suites Punta de Mita will close. Those facilities will become incorporated into Grand Palladium Vallarta. The restaurant will serve a continental breakfast to grand Palladium guests as well as open as the new Ribs and More restaurant for dinner. All facilities will be available to Grand Palladium guests. When La Terraza reopens following the renovations, it will house the new Viva Mexico restaurant. When the renovations to the lobby are completed, it will serve the entire resort. On December 21, Grand Palladium Vallarta will open it’s new adult only section. This section will be located inhe two buildings comprising tower one and is comprised of 162 rooms. 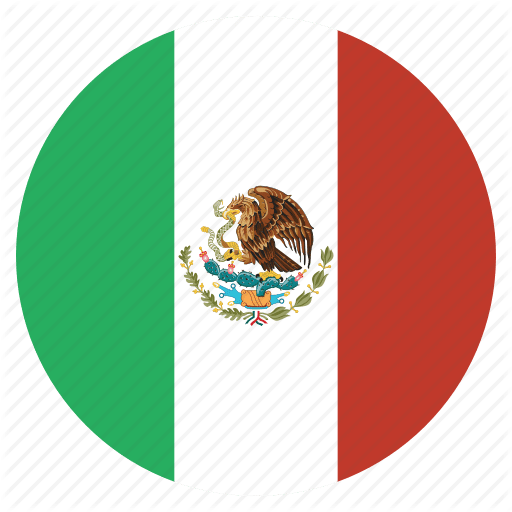 Guests staying in the adult only section will have their own restaurant, the current viva Mexico, which will serve an a la carte restaurant serving breakfast and dinner. Likewise, the Infinity pool will be exclusive to guests staying in the adult only section. Additional services include: free access to wet areas of the spa, a 15% discount in the spa, pillow menu, and 24 hour room service. While rocking the cradle from his native Ibiza , the hotel empire of the Matutes expands in Mexico . If in 2019 a new member of the Ushuaïa saga is scheduled to open in Cancún , the company will inaugurate its largest tourist complex to date, less than 20 kilometers away. The work will consist of more than 3,000 rooms with an investment of more than 400 million euros. According to sources at the Palladium Hotel Group at the Tianguis Tourist Fair held in Acapulco , September 2018 is the date chosen to welcome the first guests in the establishment. The complex planned by the group of former Foreign Minister Abel Matutes will include up to four properties of the GrandPalladium brand and two The Royal Suites , the company ‘s logo for adults only. The resort will be erected on Costa Mujeres , off Isla Mujeres and just 10 kilometers north of Cancun . The different buildings will revolve around an artificial lake, which will navigate small boats that will transfer tourists from one block to another. In addition to the opening, Palladium also has an investment plan of 20 million euros in order to adapt its accommodation in the Dominican Republic ,Jamaica and Mexico to current standards . One of the largest items will be the increase in personnel, which will increase 13% compared to 2016 to 8,243 workers. Nearly five million will go to the food and beverage department to finish the bottle in the cocktails . From now on, the bars of the chain will wear brands like Absolut , Ron Havana and Bombay Saphire . Meanwhile, “there will also be a technological leap in accommodations, with higher Wi-Fi bandwidth and new surround sound systems,” they presume. The rest of the capital will enter fully into the Grand Palladium Riviera Resort & Spa in Riviera Maya , which will merge with the neighboring The Royal Suites Yucatan to create a complex of 454 rooms, 108 of them with swimming pool. The union will begin next June 1 and will continue until fall. Thanks to the renovation, guests will enjoy a new adults-only beach club, four themed a-la-carte restaurants and a cabaret. Despite the range of news, there is no sign of any investment in Panama , where the Matutes are domiciled by the company Fiesta Bávaro Hotels SA . As Cerodosbé unveiled , the company was established with a capital of just 1,000 dollars 30 years ago and has never given shelter to any hotel. Company sources argued at the time that the company “intended to develop a project in Panama that was not finally carried out.” Despite the setback, “society did not dissolve in the hope of finding the right ground, which we continue to seek,” they added. RENOVATION NEWS from Palladium Hotels & Resorts, Riviera Nayarit, Mexico. As our commitment to providing guests’ with an exceptional vacation experience continues to be our prime focus, we are very excited to announce changes to Grand Palladium Vallarta Resort & Spa and The Royal Suites Punta de Mita by Palladium. As of December 21, 2017, Grand Palladium Vallarta Resort & Spa will present an exclusive adults-only section, within two separate buildings and grounds, featuring an exclusive restaurant, upgraded services & amenities as well as additional room categories dedicated to catering to this clientele. The following services and amenities will be included: a VIP mini bar, complimentary access to the wet areas within the Spa, 15% discount on any spa treatment, pillow menu, 24-hour room serivce and an exclusive pool, restaurant and bar. As of November 15, 2017, The Royal Suites Punta de Mita will officially close and will no longer be part of the Riviera Nayarit offerings. 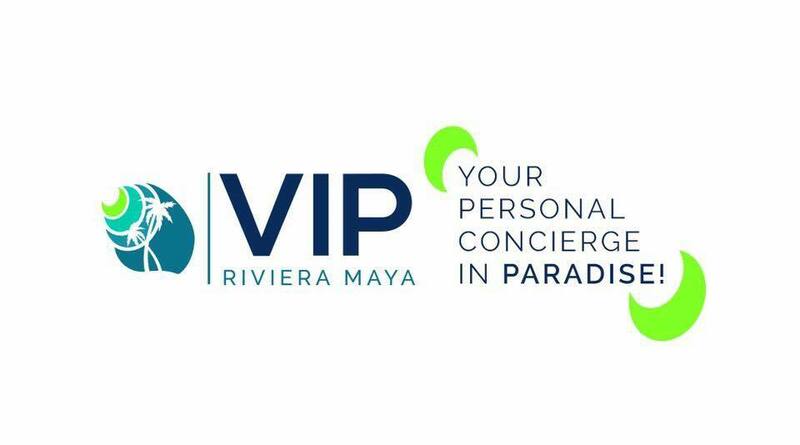 These changes come on the heels of the recent announcement to transform The Royal Suites Yucatán in Riviera Maya into a more luxurious product and will further help to distinguish the Grand Palladium with/from The Royal Suites brand. Below please find a complete timeline of the renovations at Grand Palladium Vallarta Resort & Spa. Every effort will be made to ensure that this process will not affect our guests’ vacation experience. Renovations to this buffet restaurant will take place between August 15 – November 15, 2017. During this time, guests may enjoy from any other of the buffet or a-la-carte restaurants. From September 1 to December 1, 2017, select suites from The Royal Suites Punta de Mita will be remodeled and converted to upgraded categories to fit into the Grand Palladium Vallarta Resort & Spa offering. We will continue to keep you updated with any further developments and updates. “During the renovation, Riviera Theather, Lobby and Disco will be closed, having all the shows at Colonial teather and the entertainment will be held in the Lobby area after the shows are finished to cover the usual Disco hours until 2 am, with a DJ and the entertainment team. May 2nd – November 2nd, 2017: 280 rooms will be updated with new furniture and décor as well has renovated bathrooms and terraces. June 1st – October 15 th, 2017: This lobby will be receiving a complete facelift. August 1st – December 1st, 2017: Will be closed for renovations. June 1st – October 1st: Will reopen on October 1st, 2017 as a new Brazilian themed a la carte restaurant that will be called Rodizio. UVA Swimming Pool (Grand Palladium Punta Cana Resort & Spa), Bavaro Swimming Pool (Grand Palladium Bavaro Suites Resort & Spa) & the Palace Swimming Pool & Adult Swimming Pool (Grand Palladium Palace Resort Spa & Casino). We apologize for any inconvenience caused by the renovations and are available to answer any queries or questions that may arise. Do you have a special event you would like to celebrate ? Perhaps a birthday, anniversary, marriage proposal, friendship or other ? Let the amazing POP help make it a memory you will cherish for a lifetime. Contact smile services for more information. Palladium Hotel Group is pleased to announce upcoming renovations and improvements to its Resort in Punta Cana, Dominican Republic. After an overwhelmingly positive response to the Resort renovations completed in 2014 at Grand Palladium Bávaro Suites Resort & Spa. Grand Palladium Palace Resort Spa & Casino in 2015 and 2016, will continue to upgrade its facilities in Punta Cana to provide a more luxurious vacation experience to our guests coming to the Caribbean. Our commitment to providing exceptional service and accommodations for our guests has led to continued upgrades of our Punta Cana property. The renovation timeline, which is expected to run from May 2nd to November 2nd 2017, villas 60-61-62-63-64-71-72-73-74-75. Please see below for the detailed list of upgrades coming to the Palladium Hotels & Resorts in Punta Cana. Every effort will be made to assure that the renovations program provides minimal inconvenience to guests. Renovations of the following accommodations will take place from May 2nd to November 2nd, 2017. The total room renovations are 280 rooms will be updated with new furniture and décor as well as renovation of bathrooms and terraces. From 01/06 to 15/10 will be updated with new furniture and décor. From 15/05 to 15/07, renovations on the upper terraces, to the total amount of 69 rooms on the third level of the two buildings 19. From 15/07 to 15/09, renovations on the upper terraces, to the total amount of 69 rooms on the third level of the two buildings 17 & 18. From 01/06 to 1/10, will be updated with new furniture and décor. From 01/08 to 1/12, will be updated with new furniture and décor. From 01/08 to 1/12, will be updated. This place will be the New Brazilian Restaurant. Beach Club (The Royal Suites Turquesa). From 01/07 to 01/12 will be in construction a new place at the Royal Suites Section. This place will be a Beach Club. experiences at each hotel at an excellent value. Five million dollars of the total investment will go toward improving food and beverage offerings, which will include upgrades in steak quality to use angus and cowboy cuts, upgrades to the quality and presentation of food at the buffets, higher-quality liquors at all bars including Absolut, Stoli, Havana Rum, Bombay Sapphire, Courvoisier, Don Julio Blanco and Reposado and better mini bar snacks. For staffing, Palladium Hotels & Resorts is increasing the number of staff by 13-percent over 2016, which will total 8,243 staff at all 12 properties in the Caribbean and Mexico, which includes the Grand Palladium Resorts & Spas and The Royal Suites by Palladium. A director of innovation and product development, Bernard Wyss, is beginning work this month who will oversee all of the quality and service consistency at the properties. He will identify market trends, analyze economic impacts on the business and oversee services that will be implemented at each property. Wyss has over 20 years’ experience in hospitality with top all-inclusive hotel groups including Paradisus, Melía Hotel International, RCD Resorts and AMResorts. Palladium Hotels & Resorts is also investing in technology on property, such as improving the Palladium Hotels & Resorts App so guests can message the concierge directly, increasing the bandwidth of the WiFi, installing better surround sound systems at the pools and updating the animation capabilities for performances. Also, additional trolleys to take guests from one property to another will be added to reduce wait times when traveling to each of the lobbies. New pool bikes for exercising in the pool will also be installed. “We are dedicated to improving our guests’ experiences in every way possible, so we are investing in upgrades in the areas that matter the most — service, food and beverage and technology. Guest satisfaction at our upgraded properties in Jamaica, Riviera Maya and Punta Cana has soared after the renovations were completed, so we are extending this investment in upgrades at all of our properties,” said Jacques Depaep, Palladium Hotel Group’s commercial director for North America. The company is also announcing today that it will convert the Grand Palladium Riviera Resort & Spa in Riviera Maya, Mexico into an extension of The Royal Suites Yucatán by Palladium to expand the resort’s boutique adult-exclusive offerings. This transformation will be completed in various phases starting July 1, 2017 and will carry through the fall. The conversion of the Grand Palladium Riviera Resort & Spa to The Royal Suites Yucatán will give guests a personalized, intimate, adults-only experience in a smaller setting and access to exclusive restaurants. The current Grand Palladium Riviera Resort & Spa lobby will be converted into the new lobby of The Royal Suites Yucatán. At this time, all hotel services will be available at the adjoining Grand Palladium White Sand, Colonial and Kantenah lobbies. The newly renovated, adult-exclusive property will feature a total of 454 guestrooms with premium amenities and services, 108 of which will have swim-up pools, a completely new beach experience featuring an adults-only Beach Club, four exclusive à la carte themed restaurants and a cabaret a la carte restaurant that will host different shows and a new infinity pool. Guests staying at other Palladium resorts at the Riviera Maya complex will not be affected by the construction. This additional investment follows major renovations and upgrades to the Palladium Hotels & Resorts in Jamaica, Riviera Maya and Punta Cana in 2016. 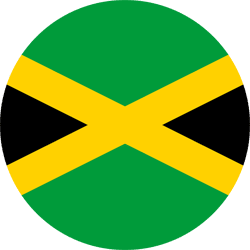 The 21 million dollars will be invested at five Grand Palladium Resorts & Spas in Mexico, three in the Dominican Republic and two in Jamaica. Additional investment is being made at Grand Palladium Punta Cana Resort & Spa to upgrade the property by the end of November 2017. Rodizio, the Brazilian steakhouse, will replace the current Hemingway Bar at Grand Palladium Bavaro Resort & Spa. At Sumptuori Restaurant, additional teppanyaki tables will be installed. A new area will also be added that will be dedicated to the the popular nikkei concept, which is a fusion of Japanese and Peruvian cuisines. In addition, the interior of El Behique restaurant will be renovated to feature new, modern designs. At Grand Palladium Punta Cana Resort & Spa, the lobby and select guestrooms will be renovated with Caribbean designs. A new beach club will be added to the adults-only area of The Royal Suites Turquesa, which is inspired by the success of the beach club concept from Ibiza. Palladium Hotels & Resorts has announced plans to upgrade its Riviera Maya Complex on 2017. These renovations will include converting and incorporating the current Grand Palladium Riviera Resort & Spa into The Royal Suites Yucatan by Palladium. Rooms renovation: July 1 – November 15, 2017. July 1 – November 1, 2017: Construction will be in progress in the Disco and Theatre of the current Grand Palladium Riviera Resort & Spa. During this time, alternate entertainment venues will be provided to guests. Once construction to the Disco and Theatre are complete, the Disco will convert to become one of four exclusive restaurants available to guests of The Royal Suites Yucatan and the Theatre will become the second exclusive restaurant providing guests with a “Dinner and Show” themed experience referred to as the “Cabaret”. June 1 – September 15, 2017: Construction will be in progress at the current Riviera Lobby which will convert to the new The Royal Suites Lobby. Guests will not be affected by this construction since all guestrooms in Riviera will be closed. All hotel services will be available at the adjoining White Sand, Colonial and Kantenah Lobbies. Construction will also be in progress at the Kabah Buffet. During this time, breakfast, lunch and dinner will be available at “La Laguna” as well as the other restaurants within the Riviera Maya Complex. The renovated Kabah Buffet will feature 2 separate sections – 1 buffet exclusively available to guests of The Royal Suites and 1 for guests of Grand Palladium. September 16 – November 15, 2017: Construction will be in progress at “El Jardín” restaurant and the current lobby of The Royal Suites. The current lobby for The Royal Suites will convert into 2 separate a la carte restaurants. By this time, the new lobby for The Royal Suites will be open at its new location and the buffet will be available at Kabah. All renovations below have been completed. The Palladium Hotel Group is committed to providing modern up to date facilities for all their guests. To do so upgrades will be done while ensuring minimal disruption to the guests. Renovations from 09/12/2016 to 11/30/2016. Reception will not be affected. Jr Suites and Suites 52-53 and Mayan Suites 1-2-3-4. Renovations from 08/18/2016 to 09/14/2016. Jr Suites and Suites 54-56 and Mayan Suites 5-6-7-8. Renovations from 09/15/2016 to 10/14/2016. Jr Suites and Suites 57-58-59 and Mayan Suites 9-10-11-12. Renovations from 10/15/2016 to 11/15/2016. Wire fencing. Renovations from 05/16/2016 to 06/20/2016. In order to stay at the forefront of the hotel industry and in line with its commitment to continuous improvement, the Palladium Hotel Group is renovating the Grand Palladium Palace Resort Spa & Casino, Punta Cana. Massage service will continue in the Villa 86 and the gym at the convention center. Palladium Hotel Group is pleased to announce upcoming renovations and improvements to its Resorts in Punta Cana, Dominican Republic. After an overwhelmingly positive response to the Resort renovations completed in 2014 at Grand Palladium Bávaro Suites Resort & Spa. Grand Palladium Palace Resort Spa & Casino in 2015, will continue to upgrade its facilities in Punta Cana to provide a more luxurious vacation experience to our guests coming to the Caribbean. Our commitment to providing exceptional service and accommodations for our guests has led to continued upgrades of our Punta Cana property. The renovation timeline, which is expected to run from May 1st to November 1, 2016, September 11th, 2016 for the first 4 villas 91, 92, 93 and 94 a total of 80 rooms, and in September 25th the other 3 villas 95, 96 and 97 to complete with this new 60 rooms the amount of 140 that were renovated. From May 2nd thru June 30th, we will intervene in The Royal Suites Turquesa Lobby, to change and improve the installations of the Air Conditioning system in this lobby. During these two months the lobby will not have Air Conditioned. All services and basic functions of the Reception will be available. The rest of the services in the lobby (such as Lounge, bar, toilettes, Internet corner) whenever possible, will be also available. The total room renovations are 140 rooms will be updated with new furniture and décor as well as renovation of bathrooms and terraces. Twelve (12) Ocean View rooms on the ground floor will be enlarged by incorporating the current terrace, and a new outdoor terrace with private Jacuzzi will be added to each room. Fifty Eight (58) Double Deluxe rooms on the ground floor will turn into Junior Suites expanding the room with the current terrace as interior space and an exterior terrace will be added to each room. Forty Two (42) Loft Suites will retain their Loft Suites category and gain a loft, new bathroom design, new décor and a second toilette on the upper part. 28 Twenty Eight (28) Double Deluxe will get a new bathroom design and new décor. Starting on September 1st thru October 15th, Behique buffet, located at Grand Palladium Punta Cana Resort & Spa, will remain closed. We will improve the roofing top and cover to maintain and optimize its condition, to improve the level of comfort required as needed. During this month and a half, whenever the occupancy level requires it, we will be offering lunch at the nearest restaurant at Grand Palladium Palace, “Las Torres”. From June 15th through , December 15th 2016, we will update the facilities of our spa, Zentropía Palladium Spa & Wellness. The Spa will be completely reformed to modernize all services and installations. Considering that the gym is located within the same location, we will use the opportunity to update the facilities as well as all the equipment. This all with the sole purpose of keep offering the best product and the best experience to our guests. During these months our distinguished clientele will have access to almost all services and treatments in our spa catalogue. For this purpose, we are improving the exterior spots on the beach and pools and habilitating massage cabins in villa 86 at Grand Palladium Palace Resort Spa & Casino, where therapies and treatments will be also available. We would like to inform you that due to some work renovations at the Bavaro Swimming Pool, will remain closed from September 25th, 5:30 pm until September 30th. We have another 4 pools in our complex: 2 of them are located in the Grand Palladium Punta Cana hotel and the other 2 are located in the Grand Palladium Palace Hotel, one of them for adults use only. If you would like further information please visit the official Palladium Hotel Group website.